The United Nations said Friday that it was stepping up aid to Pakistan, where monsoon floods have killed 270 people, affected over 5.5 million others and destroyed 1.1 million homes. The UN's children agency said it would distribute 200,000 litres of water to 40,000 people daily and deploy 40 more water tankers in coming days, in a bid to ensure access to clean drinking water and avert diseases. A Pakistani flood effected woman makes bread in a flooded area of Jhudo on September 16, 2011. Water shortage is a key problem in Pakistan where many are suffering from acute diarrhoea after drinking contaminated water, said a World Health Organization spokesman. The WHO, which has assessed the health situation in the 22 districts affected by the floods, noted that the supply of clean drinking water had been disrupted in almost all the flood-hit districts. The provision of purification tablets and cholrine was therefore a must, it noted. "In addition, tankers... are needed for the supply of clean drinking water to the affected populations," it said. The UN's food agency meanwhile said it aimed to provide emergency aid to about half a million people by the end of September, and plans to scale up deliveries to reach 2.2 million by October. It has begun distribution rations to people in the worst-hit districts, starting with southern Badin, where 82 percent of the communities have no access to healthcare facilities. The World Food Programme added that it was currently using stocks within the country to meet the crisis, but that it would need donors to step up in order to replenish the supplies. 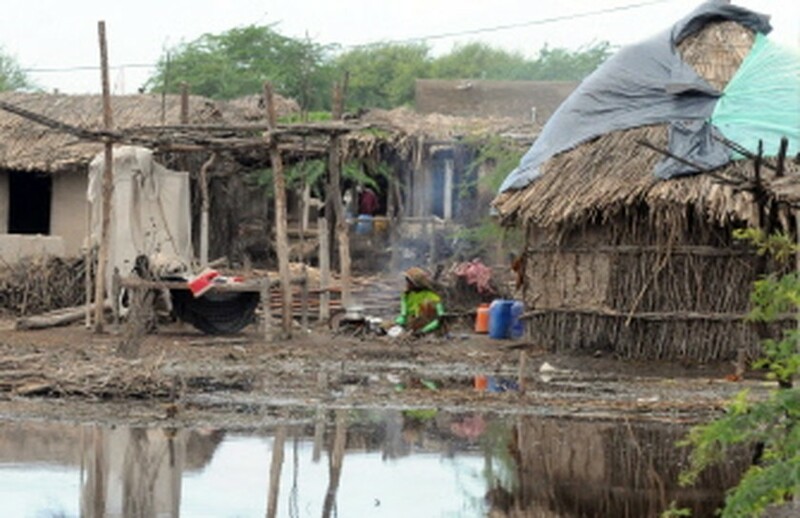 Pakistan was hit by the worst floods in its history in 2010, with 21 million people affected. Tens of thousands of people still live in refugee camps, a year after the floods which wrought $10 billion worth of damages.